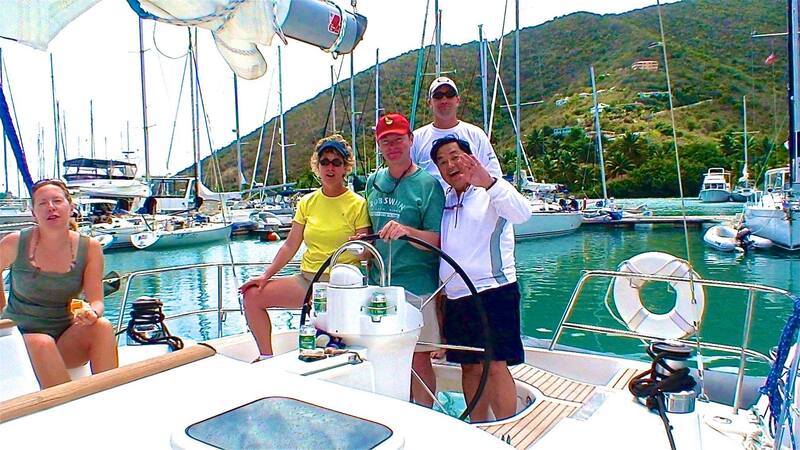 My sailing team in Tortola, British Virgin Islands dated 2006. One of my fondest memories is spending two months in the Caribbean sailing around the islands, sleeping aboard and earning four licenses in sailing — culminating to a Sailing Regatta where teams like mine compete for honors. It was one of the best moments. Every April, this regatta takes place. I have not been back to Tortola the past five years but the invitation that I teach as sailing instructor by day remains open. I wanna sing at the bar too at night. But how could I? I can’t leave my responsibility as a CEO of a listed firm; just wishing…aloud.